The IMTEX 2017 is the Indian trade fair for metal cutting machinery where over 1,000 exhibitors will showcase their latest technologies. Hembrug will be represented by it’s Indian representative Francis Klein in hall 3A at booth B105. 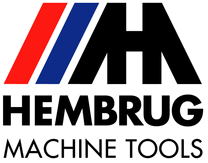 The Hembrug Mikroturn machines are among the most accurate hard turning machines in the world. Capable of producing hardened workpieces up to 70 HRC in the most effective way. As proof of precision a large variety of workpieces, ranging from bearing to automotive parts, with the highest demands on form, size and surface finish will therefore be displayed.